Following up on last week’s Year of the Pig-themed capsule collections, if one is still procrastinating about Chinese New Year’s shopping and leaving everything to the last auspicious minute, we got your back. Spring/Summer’19 has offerings over a kaleidoscope of colours and it so happens that red is pervasive throughout its catalogue. In light of the upcoming festivities, here are some crimson-dyed choices to consider for that perfect #CNY #OOTD. Exotic prints are definitely more “out there” but when the occasion calls for it, you can place your trust in this beautiful snake-skinned jacket by Versace. If the luxurious material is not convincing enough, then the jacket’s alluring gold embellished Medusa buttons should seal the deal. 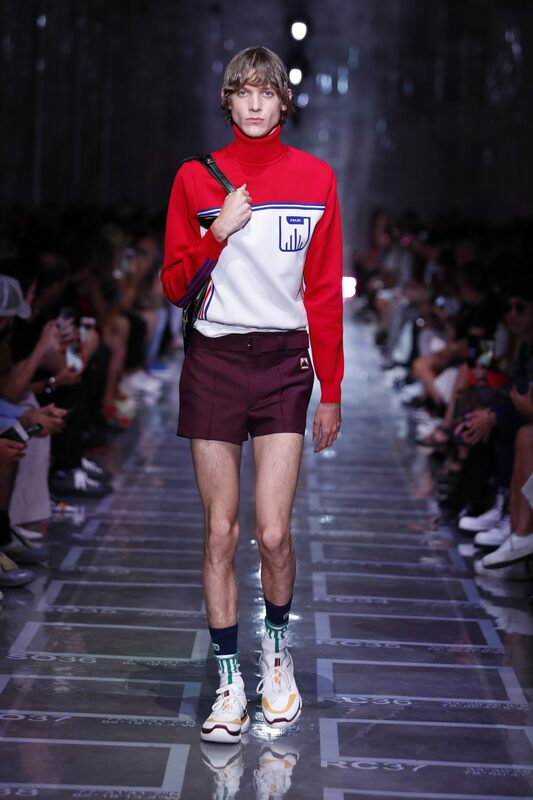 It seems like Fendi can’t get enough of their dualistic monogram, and neither can we. 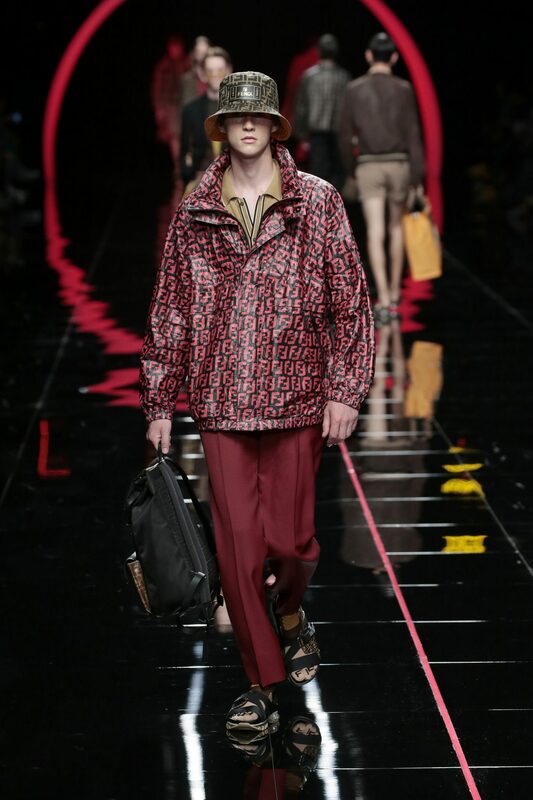 This time, the double Fs are presented in a festive hue of red, repeated over an airy anorak. Complete the look with the hat and sandals and you’ve got yourself a wet weather plan in case things go awry. The athleisure aesthetic seems to be all the rage these days so why not turn up to gatherings dressed in a full tracksuit from Berluti? Complete with red-streaked pants, the jacket blends red with hints of black and white – perfect if you’re someone who cannot do away with the comfort of neutral colours and the idea of, comfort. Speaking of rainy weather, keep warm and cozy with this Prada turtleneck sweater. The colour-blocked sweater goes easy on the red if one doesn’t want to look like a walking red packet. Slap on these “of-the-season” short shorts for some well-needed ventilation in the event that everything goes as planned and temperatures hit a comfortable 34 degrees.